Here at Solid State UK we provide a range of venue dressing services and chair cover hire for a range of special occasions serving Leicestershire as well as nationwide. 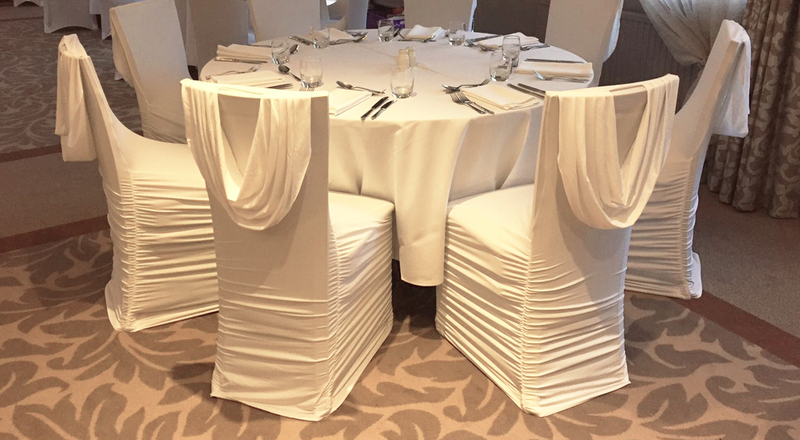 Our chair cover hire is a cost effective solution to create that ‘WOW’ effect in any room, leaving your guests and customers impressed and overwhelmed by the final outcome. 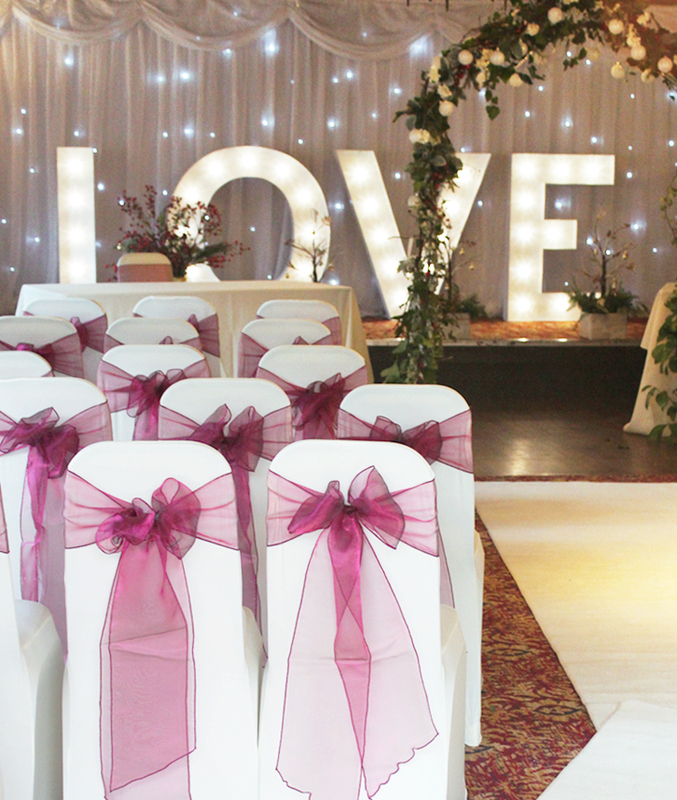 Our hire service is supplied to you based on a general hire service so that you can dress your own venue or alternatively, we can take your chair covers to your chosen venue, set them up for you and collect them the next day. We can even provide table and chair hire! All of our chair covers are clean and fresh for your use and are available in a variety of materials and styles. 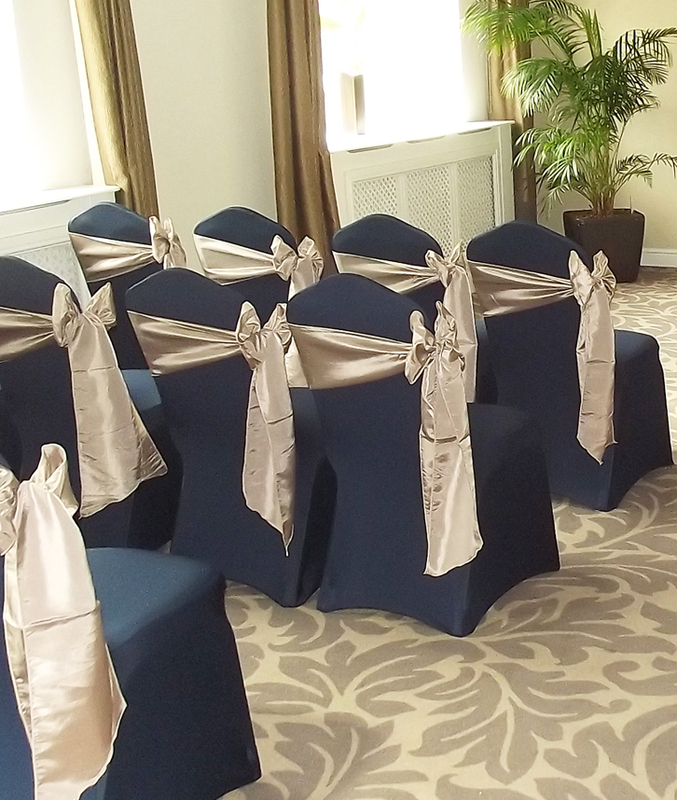 Spandex – Our most popular type of chair cover which stretches comfortably over most types of chairs. 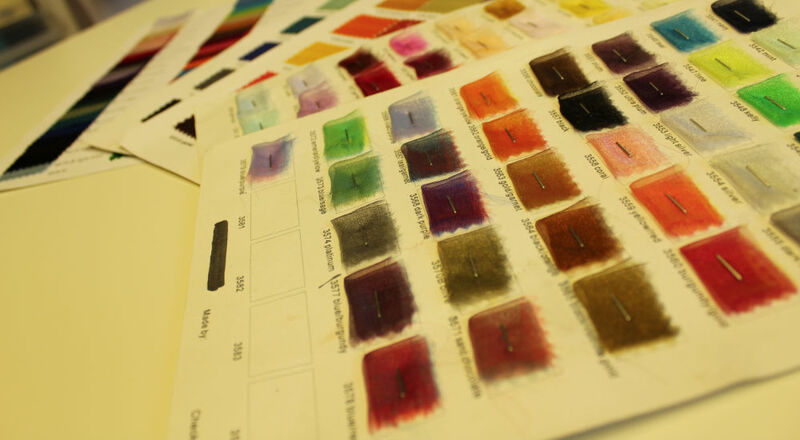 Available in a huge variety of colours to suit all types of colour schemes and themes. Cotton – Our cotton chair covers are of high quality and offer a slightly looser fitting compared to spandex chair covers. Available in a variety of colours. 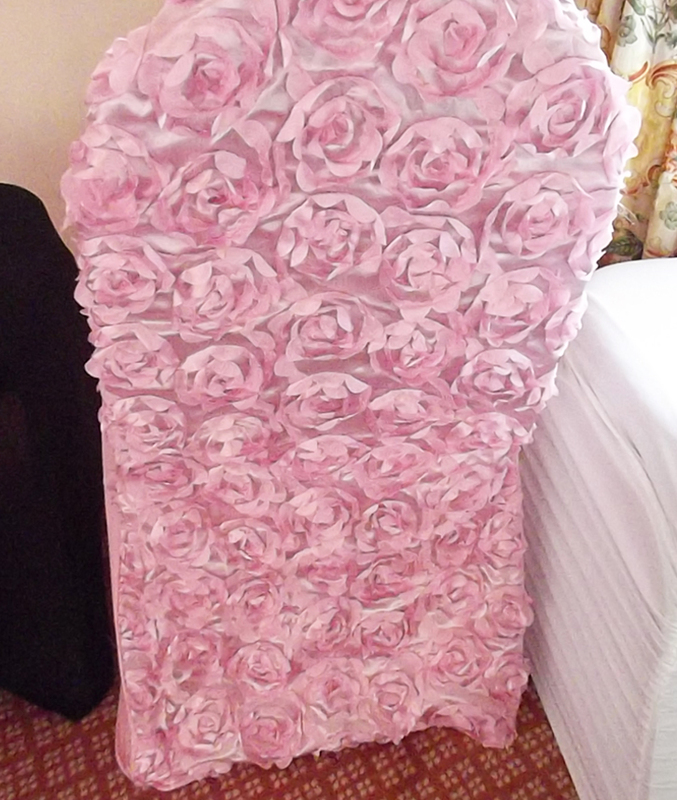 Rosette – A real statement chair cover with a large rose effect 3D pattern. Selective colours available. 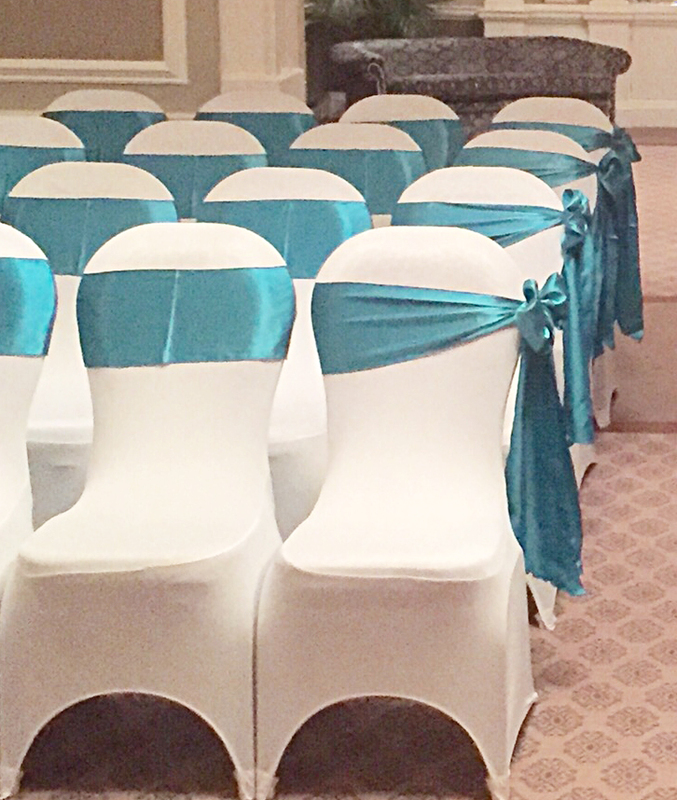 Swag – A fitted chair cover that provides it’s own ‘wow’ factor with a hanging swag draping over the back of a chair. Selective colours available. 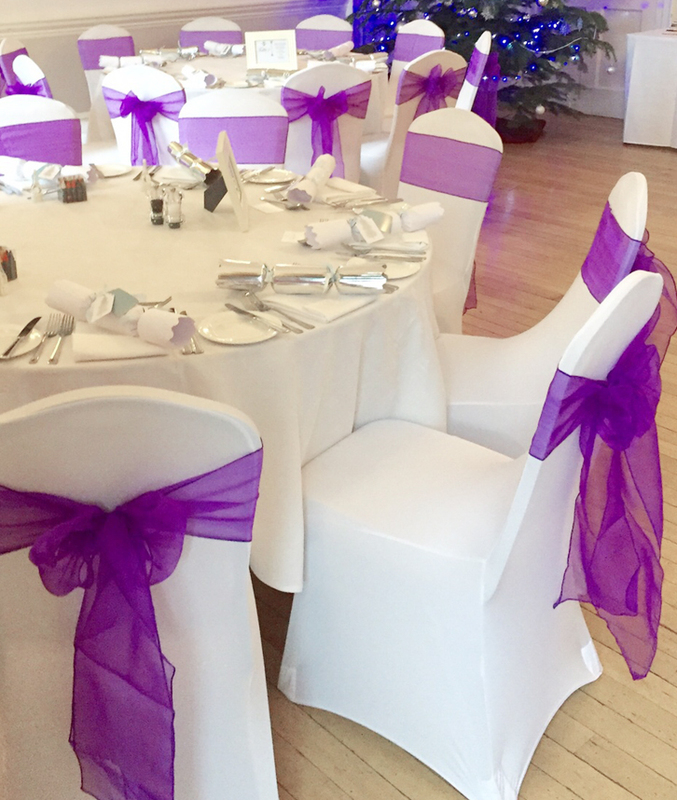 Although chair covers is a key part of our business, we are your one stop shop for all of your wedding services, also offering candy buffet hire, wedding decorations and beautiful wedding table centrepieces. Based in the heart of Leicester, we cover Loughborough and the surrounding areas as well as most of the UK with our wedding chair covers services. We believe in putting our clients needs first and provide practical advice coupled with an abundance of fresh ideas…! 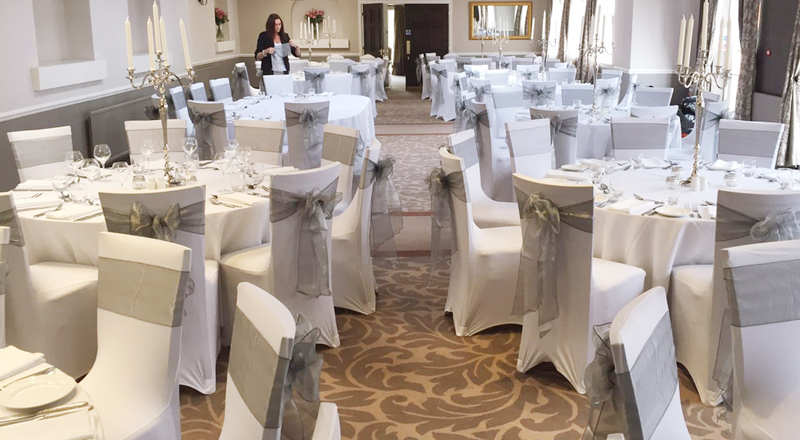 To sit alongside our chair covers, we have a wide selection of chair cover sashes all available in a variety of colours, finishes and styles to suit all themes and wedding styles. A coloured organza, lace or silk sash can be hand tied to the chair, instantly adding a dash of colour to compliment your colour scheme whilst instantly transforming any room. Why not take a look at our new range of coloured ruffled chair cover hoods or sparkling glitter chair cover bands.